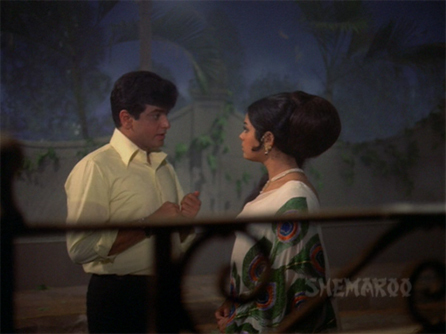 One of things I find so fascinating about Hindi cinema is how many people there are who had the ability to carry a film no matter how dreary the story and their co-stars. That some of these people have been almost criminally ignored, by and large, is a subject for another day. I would not have made it through this one without the sparkly and mesmerizing presence of Minoo Mumtaz. 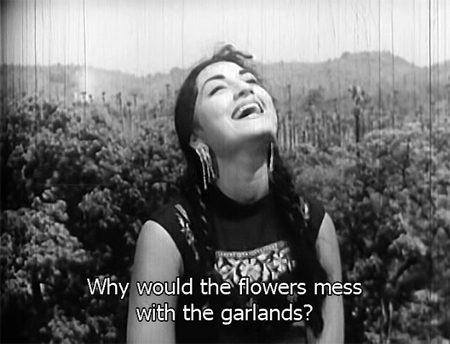 She has some support in the presence of Anwar Hussain, a spectacular Helen dance and lovely songs from Ravi; but even Kum Kum can’t overcome her sanctimonious dialogues and Nishi has the dubious honor of playing one of the most hateful female characters ever. Pradeep Kumar is the nominal hero and I will leave that to speak for itself. While writing my list of favorite Helen songs recently, I was reminded to look for this film and to my great joy I found it—yay, eBay! I have long loved Kalyanji-Anandji’s music from it; with a substantial part for Helen as well, and lovely Mumtaz starring, how could it possibly go wrong? Well, it doesn’t—and it does. It’s a very enjoyable film through the first half, but then it runs off the rails (more on that later). But the music is sublime, Mumtaz and Jeetendra are cute together and Helen gets to play a benevolent benefactor instead of her usual vampy bad-girl roles. There’s even an attempt to give a woman’s viewpoint its due! Ooh-la-la. I was positively filled with glee when I saw this DVD. 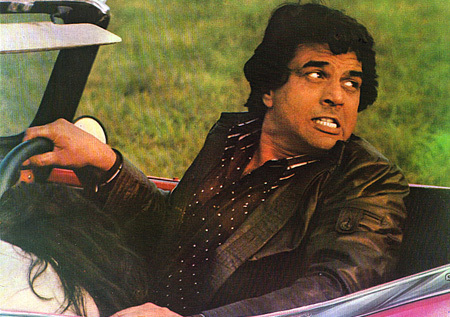 Shashi! Pran! Zeenat! Dadamoni! Thievery! Mid-70s! I was not disappointed. 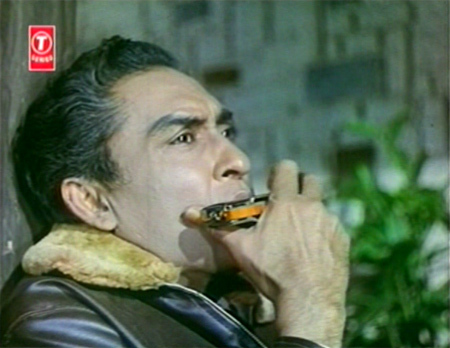 Truly fabulous funky music from Kalyanji Anandji adds to the fun. 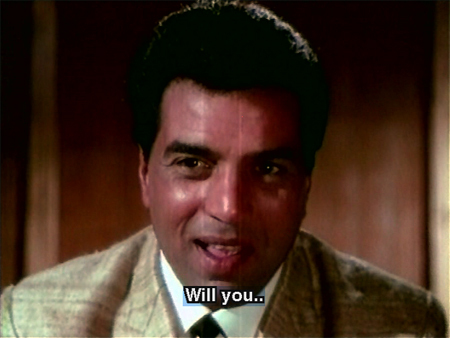 And in one of those “only in Hindi movies” coincidences, Anwar Hussein from Aaya Toofan was in this too. I can’t even count the times when I’ve noticed an actor in a film, and then he or she shows up in the next ten films I watch. I was pretty happy to finally find this film on DVD since I’ve long loved OP Nayyar’s songs from it. 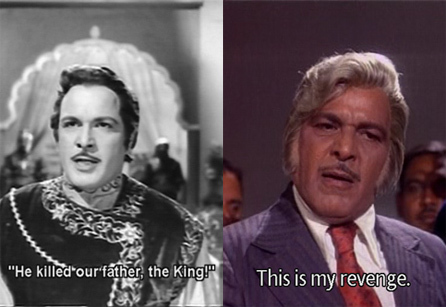 Also it features three of my favorite people: Prithviraj Kapoor, Mumtaz and Helen. It’s beautifully shot in black and white and is very atmospheric (except for the omnipresent bright orange Time N Tune logo). The story takes some unexpected turns, the music is stunning, and overall the pace and the acting is good. But I ended up feeling that I should have liked this movie better than I actually did.